Throughout recorded history the garden has been a place for the human need for cultivation. Think of the baroque garden in the West and the Zen Buddhist garden in the East. The Garden of Eden in the Old Testament is probably one of the clearest pictures of how man has existentially and spiritually connected the garden with life, growth, doctrine, and wisdom. But what does the garden have to do with a book on kindergarten life? A great deal if you ask this book's author! ”The garden helps us to understand that the world is good and that life is best lived in the now for a child.” Based on 25 years of experience Waldorf kindergarten teacher Helle Heckmann perceives the garden as a microcosm that reflects the macrocosm, in all stages of life from birth to death and the resurrection expressing itself through the changing seasons. This outdoor space where the one to six year-old child with all their senses learn about life through daily contact with the organic and hard-working activities there, always in a process of transformation. A little sprout that gradually grows to be harvested and eaten by all, the caterpillar in the cocoon that becomes a butterfly in early summer. The garden is described in detail in this book as a place of cultivation for the adult educator and a learning environment for the child. Through observing the adult working and caring for the plants and animals in the garden, the child learns about life through their own experiences as they imitate the purposeful acts of the adults in their play. Through the adult observing the child playing, the garden is gradually built up and transformed to be the learning setting that creates the very best framework for child development. The garden is described as a living, organic space, forming a sounding board for all the processes the young child goes through, to become ready to meet life with an essential inner understanding of themselves as belonging to a world they can actively intervene with, shape, and transform. 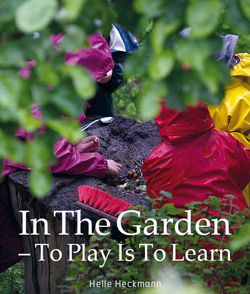 The Book "In The Garden - To Play Is To Learn" is available now via mail order from the Sophia Institute. Paperback. 35 pages. Full color cover and full color inside pages. 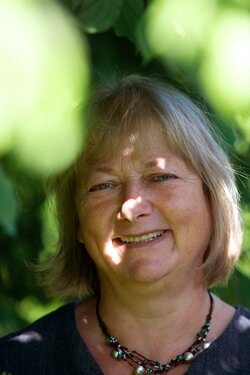 ​Helle Heckmann is the director of the Nokken Waldorf Kindergarten in Copenhagen, an international consultant to Waldorf Early Childhood Programs and author of several books on Waldorf Early Childhood Education.